Do you have a tip for making Arkansas state government more efficient or cost-effective? (March 2019) The Policy Foundation's Efficiency Project made 60 policy recommendations in Fall 2016. Twenty-one had been adopted as of early 2019. (March 2019) Critics argue school choice benefits only the wealthy but records show most Arkansas private schools serve the middle-class, charging annual tuition rates less than the $6,781 state K-12 student foundation grant. (February 2019) Arkansas has made fiscal progress in the post-Clinton era. But policies that place it at a competitive disadvantage with other states must be answered with tomorrow's fiscal reforms if the goal is a stronger economy. First in a series on how to advance Arkansas' fiscal progress. (January 2019) Gov. Asa Hutchinson proposes reorganizing state government from 42 to 15 agencies, the most sweeping consolidation since 1971. (January 30, 2019) A fiscal proposal by Gov. Asa Hutchinson and state legislators is being described as the "two-four-five point nine" (2-4-5.9) plan because of the lower income tax rates it would levy on Arkansas taxpayers. (January 2019) Only 17 states have job creation rates greater than the U.S. average in the current economic expansion that is in its ninth year. (January 2019) Various factors such as a skilled work force, infrastructure and tax rates influence economic development. The current economic expansion started in mid-2009. How does Arkansas' performance fare versus the region? (January 1, 2019) The state grocery tax--6.0% as recently as mid-2007--is being reduced to 0.125% as Arkansas joins 36 states with similar policies. A small group of Arkansans have advanced repeal for at least a quarter-century. (January 2019) Sixty-five percent (65%) of the nearly 4,800 K-12 students enrolled in Little Rock open-enrollment public charters in 2018-19 attend schools in zip codes with median household incomes less than $62,258, Arkansas Department of Education and U.S. Census Bureau data show. Three percent (3%) of students attend a charter in one of Little Rock's three most affluent zip codes. By contrast, 31 percent (31%) of students attend charters in Little Rock's three poorest zip codes, ADE and Census data show. (December 2018) The Arkansas school choice market continues its explosive growth rate, expanding from an estimated 66,627 K-12 students (2013) to more than 83,000 (2018). This niche market includes those eligible for public school choice programs; and homeschooled, private and charter students. (December 2018) More K-12 students are participating in the Pulaski County school choice market in the current school year (2018-19) than total enrollment in three of four local public school districts, Arkansas Department of Education (ADE) records and other data show. (November 2018) On Nov. 27 the Policy Foundation hosted a Fiscal Policy Forum at Heifer Village in Little Rock to provide Arkansas citizens with information on ideas likely to emerge in 2019. A diverse group of students, senior citizens, researchers and policymakers participated in three panels that examined road funding, the state income tax, the grocery tax and the EITC. There was no charge to attend and attendees asked several dozen questions. (November 2018) The Policy Foundation is joining with the Indiana-based Center for the Study of Liberty (CSL) to host a Nov. 15 dinner on the conversational topic "Poverty and Education." (October 2018) The Policy Foundation will host a fiscal policy forum Nov. 27 (10 a.m.-2 p.m.) at Heifer Village in Little Rock to examine ideas expected to be considered in the 92nd General Assembly (2019) of the state legislature. (September 2018) Utah leads the United States in jobs creation since the end of the Great Recession in mid-2009, expanding payroll employment at a 28.4% rate versus the 14% national average, U.S. Bureau of Labor Statistics records show. Arkansas trailed the U.S. in the period, creating new jobs at a 7.5% rate. (August 2018) A state legislative task force has recommended reducing the highest Arkansas income tax rate, a policy advanced by the Policy Foundation since its founding as a nonprofit, nonpartisan think tank in 1995. (July 2018) State Rep. Michael "Mickey" Gates, R-Hot Springs, charged recently with failing to pay state income taxes or file returns was paid $78,800 in legislative salary (2016-17), and is receiving $40,188 this year, according to OpenTheBooks.com, a non-profit that advances government transparency. (June 2018) Two reports published 18 years apart set the stage for the performance-based pay plan advanced in the past year by policymakers. (June 2018) It pays to be a Little Rock School District employee more than a top state official. The Little Rock School District, the subject of a 2015 state takeover paid 102 officials more than $89,301, the new annual salary of the Arkansas' Auditor of State, Secretary of State and Treasurer. (May 2018) Sixteen state agencies reviewed by the Efficiency Project in 2016 have adopted Recommendation No. 3, which called on agencies to develop strategic plans and post them online in a format "accessible to citizens." (May 2018) The Dollarway School District, taken over by the state in 2015, spent $8,309,639 on employee salaries in 2016, according to public records compiled by OpenTheBooks.com, a non-profit that advances government transparency as a policy goal. (May 2018) The state Department of Finance and Administration (DFA) continues to reduce tax debts owed Arkansas, recovering $132.3 million in outstanding receivables in calendar year 2017. This is $21 million greater than the amount ($111.3 million) collected by DFA in calendar year 2016. (April 2018) Only eight Arkansas counties post annual budgets online for citizens while others publish an annual appropriation notice in the paper of record, a legal requirement. Every county should post its budget in an easily-accessible format. This lack of transparency can be illustrated by comparing Arkansas counties with those with similar names in other states. (April 2018) A new Arkansas Department of Education School Index report assigns twice as many 'A' grades to traditional high schools as failing ('F') marks. ADE also reported more than three times as many 'A' grades to traditional elementary schools as failing marks. A standard distribution would report a similar number of 'A' and 'F' schools. (March 2018) A provision of the recently-enacted Republican federal tax cut, meant to increase competition in the delivery of education services was approved by the state legislature in mid-March and became law on March 20. (March 2018) Critics argue only the rich benefit from school choice but records show more than 30 Arkansas private schools charge tuition less than the top individual benefit ($5,000) of 529 savings plans. Another six schools enroll younger students at similar rates. About 7,500 students attend these schools. (March 2018) The Policy Foundation was established in 1995 as a nonpartisan, 501(c)(c) non-profit think tank. For nearly a quarter-century the Foundation has advanced market-based ideas to the people of Arkansas. The Foundation advances these ideas in various ways, including public forums, news media reports, special projects, and research posted on its website. One idea is school choice, which the Policy Foundation has advanced as a process to increase competition within Arkansas' current model of education. (February 2018) Arkansas taxpayers spent $38.9 million on employee salaries in six low-performing east Arkansas K-12 public school districts, while policymakers fought expanded school choice for nearly 80,000 students not attending traditional public schools, according to OpenTheBooks.com and public records. 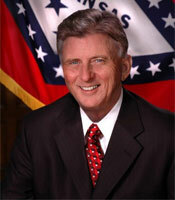 (February 12, 2018) Arkansas Gov. 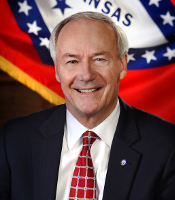 Asa Hutchinson proposed using efficiencies and savings from the transformation of state government to reduce the top state individual income tax rate from 6.9 to 6.0 percent in 2019. (February 2018) Arkansas is among states with the second highest top corporate income tax rate in the 12-state southeast region, according to 2017 data from the Federation of State Tax Administrators. (January 2018) Records show the Arkansas school choice market continues to grow at a high rate, expanding from an estimated 66,627 K-12 students (2013) to 79,325 (2017). This niche educational market includes students eligible to participate in public school choice programs, capped at three percent (3%) of enrollment; and homeschooled, private and charter students. (January 2018) Records show the school choice market in Pulaski County totaled nearly 19,000 K-12 students in 2017. (December 2017) One year after the Efficiency Project recommended reducing more than $300 million in outstanding state receivables a Department of Finance and Administration (DFA) pilot program has collected $22.1 million. The action occurred after Gov. Asa Hutchinson announced in late 2015 that the Policy Foundation would work to identify efficiencies. (December 2017) Arkansas' top income tax rate (6.9%) is the second-highest in the 12-state southeast region, trailing only South Carolina (7.0%), according to the Federation of State Tax Administrators. The organization serves the principal tax collection agencies of the 50 states, the District of Columbia, Philadelphia, and New York. (December 2017) Nine years into a national economic expansion Arkansas' economy trails the national average in jobs creation, according to U.S. Bureau of Labor Statistics records. The event includes a panel discussion on “National Trends in School Choice and Implications for Arkansas” with Rep. Jim Dotson and Arkansas Parent Network’s Virginia Walden Ford and a panel on “The Future of School Finance and Implications for Arkansas” with the Reason Foundation’s Education Director Lisa Snell and Reason Policy Analyst, Aaron Smith. 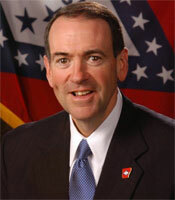 Lunch will be followed by a keynote address by Arkansas Lt. Gov. Tim Griffin. Hear from Arkansas leaders about the landscape for school choice and more student-centered funding and opportunities for future growth. In addition, Reason Foundation education policy analysts will share national trends toward pioneering systems to fund students and schools more transparently, equitably, and flexibly. You can also RSVP via email (kaza@arkansaspolicyfoundation.org) or (lsnell@reason.org) by Friday October 13. You can also RSVP by calling (501) 537-0825. (September 2017) The Arkansas Department of Transportation (ArDOT) has advanced a performance-based pay program, a reform first recommended in 1998 by the Murphy Commission, a Policy Foundation project. (August 2017) The state Department of Finance and Administration (DFA) is acting on nine major recommendations from PricewaterhouseCoopers LLP (PwC) a leading international management consulting firm retained by the Policy Foundation in 2016 to study the agency. (August 2017) Freshman Gov. Asa Hutchinson has asked a state panel to recommend changes to a K-12 public school spending practice criticized last year by the Policy Foundation's Efficiency Project. (July 2017) Management consultants conducted efficiency reviews in Kansas, Louisiana, and North Carolina this decade, at costs ranging from $2.6-to-$4.2 million. Volunteers led an earlier Kansas project. A Policy Foundation review of published reports in these states found a broad range of estimated savings ($9.3 million to $2.7 billion). To-date savings vary by state, according to state executives and budget officials. (June 2017) Tom Easterly, a Murphy Commission Education Team volunteer who later played a role in a landmark Arkansas State Supreme Court decision has been named the Policy Foundation's 'Unsung Hero' of 2017. (May 2017) Mission creep describes the tendency of government programs to expand beyond their original purpose. One Arkansas example is a 1997 program that pays incentive bonuses to teachers that obtain national-board certification and work in high-poverty K-12 public schools. The program grew over two decades into a $16 million program that also pays bonuses to teachers in other schools. (May 2017) Arkansas state legislators cut taxes for low-income Arkansans and military retirees in this year's 91st General Assembly but failed to reduce taxes on job creators. The result? Arkansas' job creation rate trails the U.S. average by a wide margin nearly eight years into the third longest economic expansion in U.S. history. (April 2017) Arkansas is a rural state that suffers from a shortage of medical professionals. One oft-discussed idea would assign advanced nurse practitioners a greater role. A lesser-known idea allows medical professionals to volunteer across state lines. (April 2017) State Rep. Deborah Ferguson, D-West Memphis, sponsored HB 1255 in the 91st General Assembly (2017) to 'Create A Temporary Charitable Dental License.' The measure would have allowed the Arkansas State Board of Dental Examiners to " license a dentist who practices for no more than four (4) consecutive days per calendar year in the State of Arkansas without compensation if the dentist has applied for and received a temporary license from the board." Ferguson practiced dentistry for 25 years. (April 2017) The Efficiency Project compiled organizational charts to help Arkansas citizens understand state government's structure. One Arkansas citizen told the Project that state government "should standardize department organizational charts and have these on a website ... My time in the Army taught me chain of command. If you don't know the structure of the chain a person would have a hard time knowing who to contact." (February 19, 2017) Gov. Asa Hutchinson announced today the founding of the Transformation Advisory Board, which will continue to "examine the recommendations for potential efficiencies and cost-savings from a report by the Arkansas Policy Foundation released last year." (February 2017) The Arkansas State Bank Department has amended its mission statement to include efficiency after a Policy Foundation report recommended the action. The revised statement explains the Bank Department's mission is to "efficiently allocate Department resources to maintain a legal and regulatory structure for Arkansas that provides the public with convenient, safe and competitive banking, which allows for economic development within this State." (January 2017) The Wall Street Journal, America's leading commercial daily published a column in its January 14 edition that discussed the Arkansas state government Efficiency Project. (January 2017) School choice and charter schools continue to advance since the Little Rock School District was taken over by the state two years ago for academic distress. The Succeed Scholarship Program was created by the state legislature and it's probable another tax credit or voucher program will be established in this year's session. Student demand is so great there are nine open-enrollment charter school systems operating in Little Rock, according to the state Department of Education. (December 2016) Arkansas Gov. Asa Hutchinson launched phase two of the state government Efficiency Project by naming Amy Fecher to head his new Office of Transformation. The Office will "drive the implementation of state efficiencies and streamline state operations" using ideas from the Project's first phase, launched in December 2015 at the Policy Foundation's 20th anniversary recognition reception for citizen volunteers. (November 2016) The Policy Foundation's Efficiency Project has identified 184 cost-saving initiatives underway at Arkansas state departments. The initiatives are listed in a report that has been delivered to Arkansas Gov. Asa Hutchinson. The dollar amount range from department-identified efficiencies is $7.3-to-$13.5 million. The Efficiency Project makes 60 policy recommendations that will save Arkansas taxpayers more than $50 million. The bulk of these savings are at the departments of Finance and Administration ($15.5 million) and Education ($27.5 million). (August 2016) Fifteen Arkansas private schools have received approval from the state Department of Education (ADE) to participate in the Succeed Scholarship Program, Arkansas' first non-public school choice program. According to the Little Rock-based Reform Alliance, the program "is open to any Private School Applicants that are accredited." (July 2016) The Policy Foundation will hold an event in late July explaining school choice programs. Arkansas became the 25th state to enact a school choice program in 2015. The idea originated with Dr. Milton Friedman (1912-2006), the 1976 Nobel Economics Laureate. Dr. Friedman was born July 31, 1912, in Brooklyn, N.Y.
(June 2016) School choice gives students the freedom to attend schools or obtain educational services that best fit their individual and family needs. These can include public, private or home-schools depending on the circumstance. School choice has advanced to a significant degree since the Policy Foundation raised the issue in 1995. The citizenship of Arkansans has advanced school choice, with foundations playing a key leadership role. (June 2016) Records show the Arkansas school choice market continues to expand, growing expanded from an estimated 66,627 K-12 students in 2013 to 70,533 in 2015. The niche market includes students participating in public school choice programs, and homeschooled, private and charter students. (April 2016) The Policy Foundation noted more than a decade ago that state spending growth linked to an economic metric such as the Consumer Price Index would save tax dollars. CPI has increased at an average annual rate of 1.5 percent in the economic expansion that started in 2009. Yet spending increases at higher percentage rates at five departments in pending Fiscal Session Budget Requests when 2015-16 (Budget) is compared to 2016-17 (Legislative Recommendation). These departments are Community Corrections, Corrections, Education, Health, and Human Services. (March 2016) Revised federal data show Benton County achieved an all-time Arkansas high (153.2%) in per capita personal income in 2012. (February 2016) School choice and charter schools have advanced since the Little Rock School District was taken over by the state one year ago. The Succeed Scholarship Program, Arkansas' first school choice law was enacted by the state legislature but awaits funding. The E-STEM and Lisa Academy charter systems are also proposing to expand in Little Rock. The Arkansas Policy Foundation is a nonpartisan, non-profit organization that analyzes the impact of public policy on Arkansas and makes recommendations. The Foundation emphasizes the importance of tax policy and education reform. Principles of tax policy: Arkansas would benefit from comprehensive, pro-growth reform; Arkansans are not under-taxed; taxes and rates do matter to entrepreneurs; dynamic scoring of tax changes and effects provides benefits. Education reform: The Foundation seeks intellectual honesty and complete openness in reporting the lack of academic progress in Arkansas' school system. Looking For Archived Policy Research? A significant number of Arkansas' best-known entrepreneurs started their businesses in recessions.Click Here. The Policy Foundation's research has informed the Arkansas public policy debate for a quarter-century: Click Here. "State's jobless rate holds in January"
"Arkansas manufacturing sector faces dearth of skilled workers with tight labor pool, low unemployment"
"Arkansas joblessness rate stays put at 3.6%"
"State's joblessness rate ticks up to 3.6%"
"Tax cut task force leader looking to avert Kansas, Oklahoma-like budget disaster"
"Jobless rate 3.5% as Arkansas trend holds"
"Utah is the national leader in jobs creation. What can go wrong?" "State jobless rate hits record low 3.5%"
"State's jobless rate at 3.6%"
"Arkansas jobless rate inches lower"
"Young Citizen Makes A Difference"
"State's 3.8 percent jobless rate hanging on for fifth-straight month"
"Unemployment rates among black teens in Arkansas is twice as high as any other ethnicity"
"Hutchinson touts reorganization efforts at town hall"
"Analysts note sag in state job growth; unemployment rate remains at 3.8%"
"Stronger FOIA laws save Arkansas taxpayers money"
"Governor's aim to reduce number of state agencies has some retiree fund trustees worried"
"Jobless rate up to 3.8% for state"
"State's jobless rate stays put at 3.7%"
"Transparency needed in distressed districts"
"Arkansas' jobless rate holds at 3.7%"
A 1996 Policy Foundation study played a key role launching the Arkansas charter school movement.Click Here. Friedrich A. Hayek taught at the Univ. of Arkansas-Fayetteville in the early 1950s. He was awarded the 1974 Nobel Prize in Economics. His insight? Socialism doesn't work due to the lack of a price system. The Arkansas Council on Economic Education (ACEE) is a private, non-profit, non-partisan, educational organization founded in 1962 to promote economic literacy in Arkansas. "The Austrian School in the NBER's Business Cycle Studies"
(London, U.K.) Palgrave Macmillian Ltd.